Rendy Freedman MFT is the co-founder and co- executive director of AHA! www.ahasb.org which serves 3500 teens and families annually. AHA! is committed to improving attitude, creating social harmony, and bridging the achievement gap.Rendy has worked as a psychotherapist since 1994, and specializes in working with adolescents, couples, families, groups, and trauma issues and has worked extensively with women’s issues. 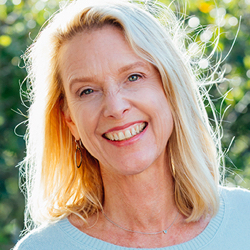 She is a licensed mediator, a certified EMDR practitioner, and has had significant training and experience in body related healing modalities, as well as in relational therapy systems including self psychology, family systems, the mutuality philosophy of the Stone Center at Wellesley College, and Council practice from The Ojai Foundation.Rendy received her master’s degree in clinical psychology from Antioch University in Santa Barbara and a Bachelor of Arts degree in secondary education from the University of Iowa. She has taught in both public and private schools and was one of the founders of The Waldorf School of Santa Barbara. She taught undergraduate and graduate classes at Antioch University for 10 years and has lectured frequently in schools, local agencies, and groups on the topic of social and emotional intelligence. She leads experiential workshops for parents of teens–especially mothers and daughters. She has led and participated in dozens of trainings on diversity celebration and creative arts applications of social and emotional intelligence.